We offer a simple straight forward service, with no waffle, lots of communication and honesty. We work for you the vendor, not the buyer. We will sell your property on a No Sale No Fee basis. If we don't sell your property, you don't pay us. Your property will be on the market within 24 hours in most cases. Our office is open 7 days a week, and our telephones are answered 24 hours a day. We have a real-time upload to Rightmove and our own website. We advertise your property on Rightmove, Zoopla, Primelocation, Facebook, Google+, Twitter and hundreds of other websites. 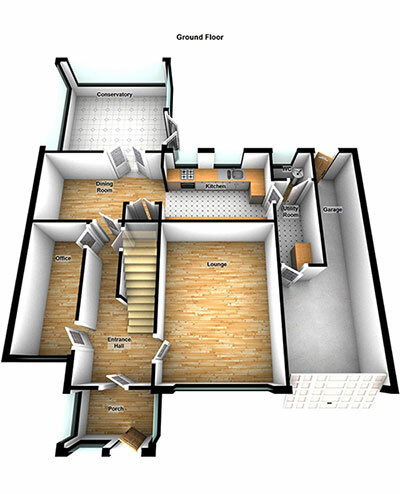 Your property will have a fully scaled 2D and 3D Floor Plan. We take professional looking photos at no extra charge. How many people are looking at your property. What details we have sent. All the viewings on your property and the feedback. Instant notification of viewings and feedback. We can accompany all viewings if required. We negotiate all offers on your property. We qualify the buyer, including the chain and all buyers’ financial positions, and only mark a property as sold when all buyers have financially committed. We deal with all the chain, keeping you up to date throughout the whole sale. We hand over the keys to your buyer on completion. Contact us to find out more information and to organise a free no obligation valuation.